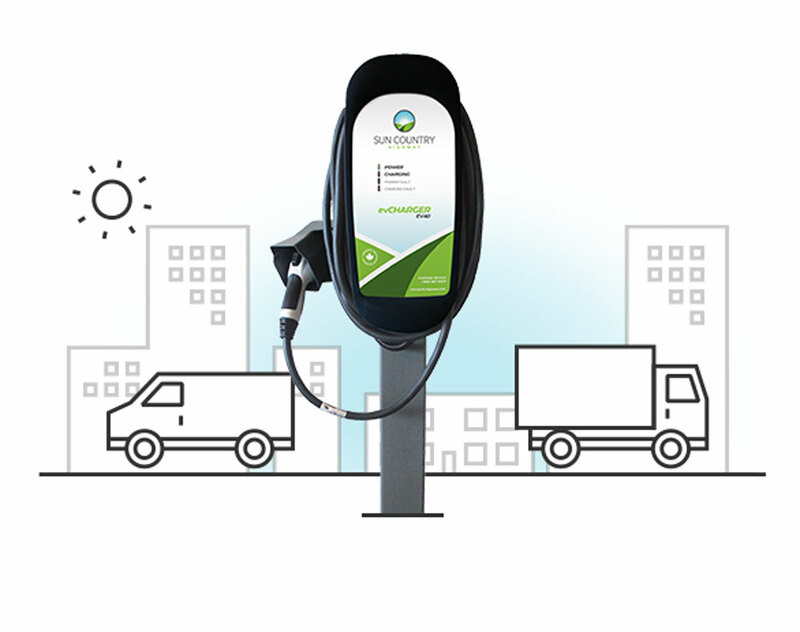 Adding electric vehicles to your fleet not only reduces emissions, but also mitigates fixed fuel and maintenance cost. 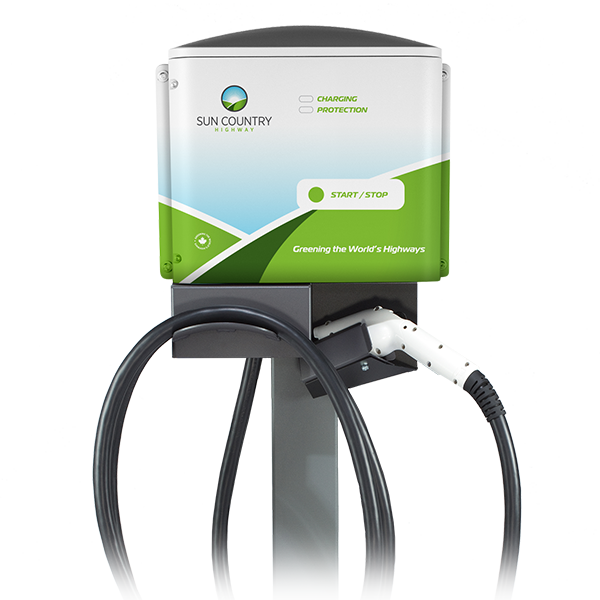 From commuter fleet and delivery vehicles to electric busses, Sun Country Highway offers the most powerful and reliable Level II and Level III electric vehicle supply equipment (EVSE). Find the perfect solution based on your application, fleet size, and range requirements. Contact our in-house fleet consultant to determine the best charging solution for your application. Future-proof your investment with the SCH100. The fastest Level II charging station that delivers 19.2kW, 70/80A continuous power. Great for vehicles that can accept high-power charging. 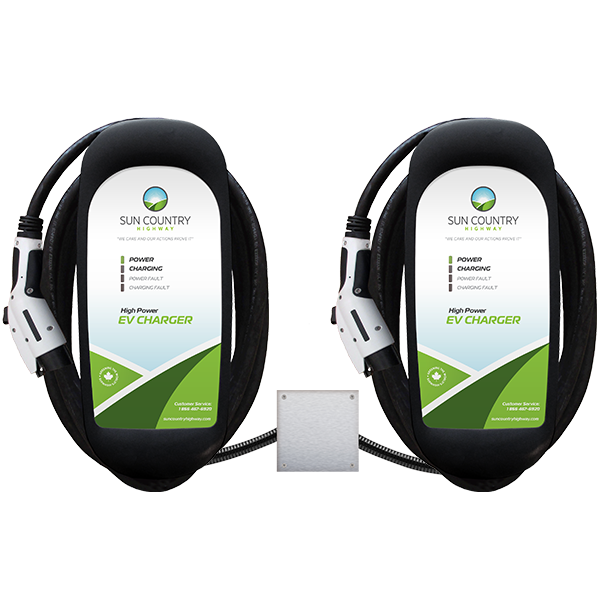 Sun Country's popular EV-40 chargers equipped with Share2, built to share power supplied by one circuit breaker - great for higher usage installs. Rugged and reliable Level II charging with 32A, 7.7kW of charging power with 5 year warranty. 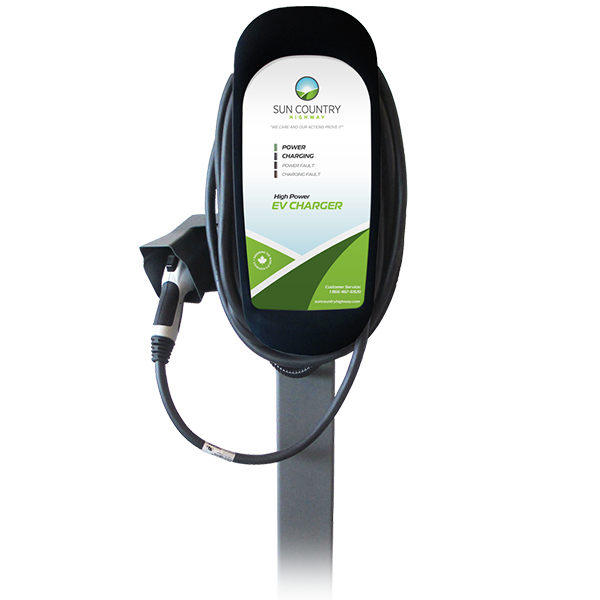 ChargeGuard offers key-based access control so your charger is reserved for your customers and staff.